My strat that I got from my friend doesn't have any prints on the headstock, it was removed. 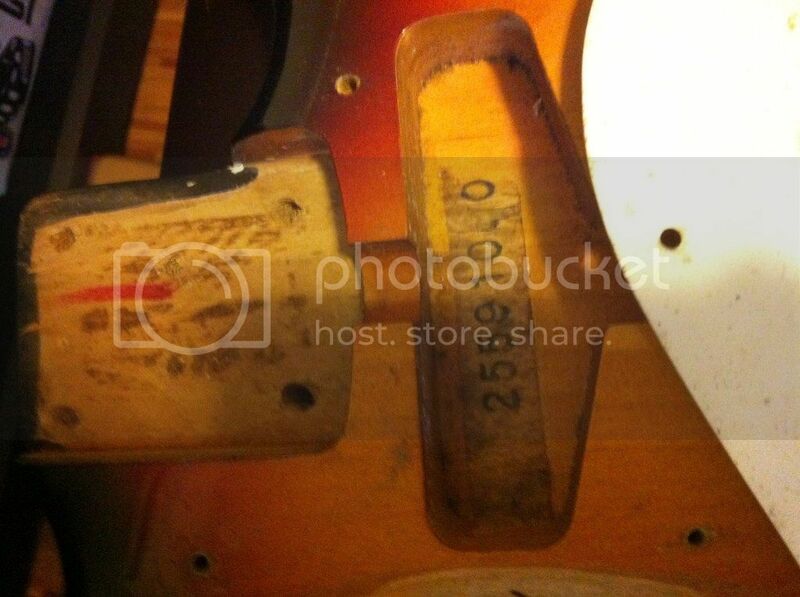 I can't find the serial number anywhere except inside the body, placed on the space for the neck pickup. It says 255910??. Any information? That's typical for late 80s Dyna Gakki made guitars. My guess would be a Fernandes as they were producing for them during that period.